Mix in flour, salt, and vanilla. 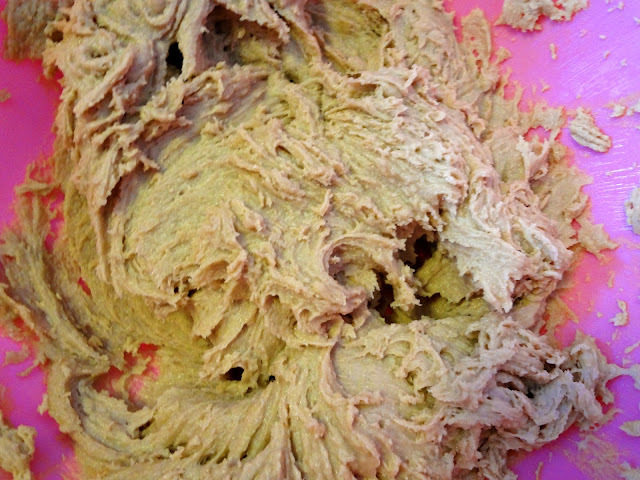 One tablespoon at a time, mix in water until the dough is your desired consistency. Store leftovers (if you have any) in the refrigerator. Michael caught me. I'm obviously not planning on sharing. Why in the world would you share something this delectable??? You deserve it all! After all, you did make it! Heheheeee :P Eating the dough is definitely the best part. My mom would strongly scold all of us not to eat the dough when she put it in the fridge...but my dad, brother, and I would sneak some when she wasn't paying attention. Ha-not to worry about dying..I thought you would get sick from eating real cookie dough-not die! You do look very guilty in that picture. There is a countless number of people (countless because they would never confess) that do eat cookie dough and I am glad you have made something here that is egg free that makes it a little less risky. Great suggestion to stir in other stuff too-it doesn't have to just have chocolate chips in it! Have a great weekend! Everything but the egg, huh? Love this! Super creative and I bet super delicious! Everything but egg and granulated sugar--brown sugar is all you need for flavor :) It is one of my favorite things! I love love love cookie dough that won't kill me. Yum! hahahah I LOVE this post. This is maybe the best idea. ever. 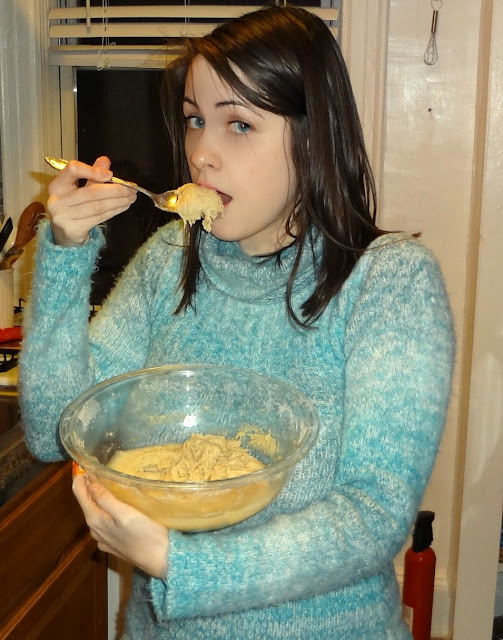 I need a bowl of this cookie dough right now!